First of all, I selected this novel because I liked the cover (yes, I am prone to do such things) and I really have a little bit of a house-fetish. I love houses! I love looking at them, dreaming about them…. Just like the main character o f this novel, Dolly Magnuson. Dolly is a young housewife in the conformist 1950’s and the details of her life are most-likely accurate, but absolutely entertaining in their “antiquity.” Readers will be amused at how drastically expectations have changed for married women, yet will be shocked at just how many things have remained the same. Like many modern day wives, Dolly wishes her husband were more complimentary of her cooking; she wishes he would paint the bathroom like he promised, and she yearns for him to spend the day with her instead of going fishing with the guys. Dolly’s sense of angst in her role as wife and member of the Ladies Aid Quilting Circle only fuel her fascination with the beautiful, grand home perched on a hill overlooking her small town. 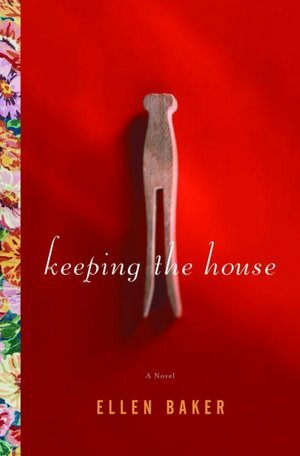 She imagines that if only she could live in this house her life would suddenly be different. The object of her desire is the former home of the wealthy Mickelson family. Now, however, the house sits abandoned and neglected. Slowly, Dolly learns snippets of the Mickleson’s story as she suffers through afternoon quilting sessions at the home of the town busy-body who has lived next to the Mickelson home for decades. Dolly’s boredom compels her, via a broken window, to enter the home and begin uncovering not only its secrets, but also its faded glory. Woven alternately with Dolly’s story are chapters highlighting the plight of the Mickelsons. We see the arrival of Wilma Mickelson as a new bride to her lovely new home on the hill, and we marvel at how Wilma’s story closely parallels that of Dolly. We follow the heartbreaking stories of the Mickelson children and grandchildren as they endure war, betrayal, and ultimately love. A few moments are slightly over-done and mildly far-fetched, but are forgivable in what ultimately resonates as a compelling family-saga. The shift from past to present is done well and adds to the story, while small moments of suspense kept me eager to find out more. Furthermore, there were times when I was particularly captivated by Ellen Baker’s writing. Notably at the end of a chapter, she would sum up the situation or events in a way that was strikingly beautiful, and I found myself re-reading small sections just to enjoy her words and descriptions. This book feels like a slice of small town America. If you’re craving a wholesome book that is not all fluff, you will enjoy entering the complicated, yet hopeful, worlds of these characters.